This post could be a long one. Let's try not to make it so. This is supposed to be a DIY post. But let us start at the very beginning. This is not a christian nor a catholic household. Despite both my husband and I having been raised by catholic parents and in a mainly catholic country, we are not believers. But somethings tend to stick to you, and Easter and Christmas are just such things. Easter to me means lamb and sugar coated almonds, chocolate eggs and early spring. I decorate the house accordingly, but pay little to no attention to the date. Not so with Christmas. Maybe I should call it yule. Because in Christmas, there's that etimology, Christ's Mass, and to me, to us, it has nothing to do with it. Maybe I find it closer to Hannukah, the festival of lights, as to me the date is a celebration of light. But I am not jewish, nor do I intend to become one. God to me has no meaning. Nature has all the meaning in the world. And yet, Christmas (let's leave it at that) holds the most special place in my heart, it entrances me with its magic, it has a fascination over me that cannot be overcome by anything else, not even Lord of the Rings or Harry Potter - oh such a child I am at heart! So when by early November the Christmas decorations start hitting the stores, I get restless. I want to start thinking about decorating my house for Christmas, about making it special, I start craving this or that bauble, a new addition to my Christmas village, a new set of fairy lights, another snow globe, another Santa... you get it. And then I look at the bank account and see it just won't work, and there's no way we can afford spending money on trinkets and unimportant things, because, well, one has to have priorities when life is financially so hard and unbalanced as ours has always been, and our priorities are surely not made of Christmas trees and ornaments when there's a child that needs new socks, or underwear, or food on the table. So the trinkets and the pretty things are put aside, and become wishes never to be fulfilled. I am used to that, I have lived most of my life that way, not being able to buy everything I wish I could. That has made me a resourceful person, more creative, more attuned. If I can't buy it, couldn't I try to make it? Soon after we got married we went through another of our many financial rough patches. That's when I made our first Christmas ornaments. With inexpensive things such as fake greenery, candles, or natural elements like pine cones I arranged a few bits and pieces to liven our former home that Christmas, that was to be the first of our lives together. There are still a few pieces that have survived those twelve years and one move, but some were lost to being shoddily made and having been broken with use and time. This mason jar is one of the survivors. Inside it I placed a few pine branches - fake - a pine cone and a small red candle. 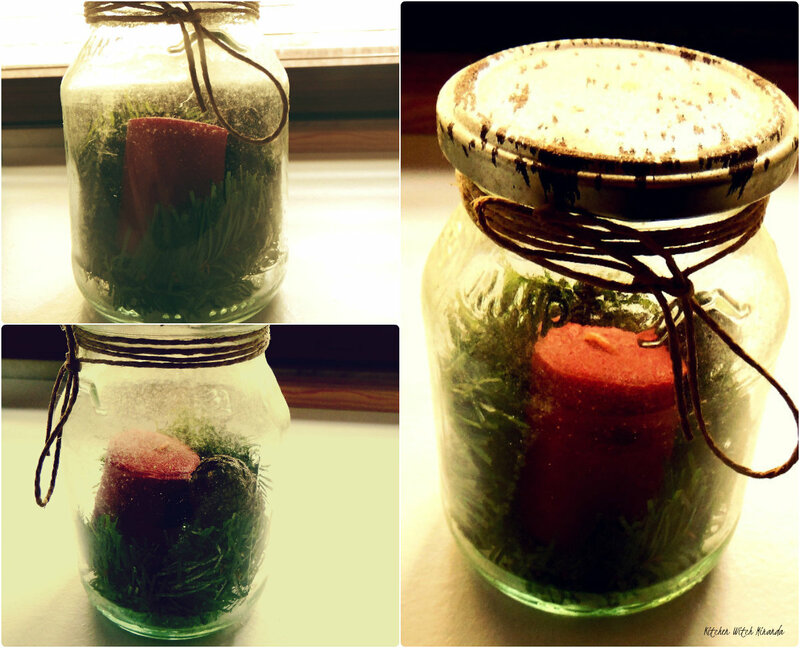 I wrapped some twine around the top of the jar, and there you go. 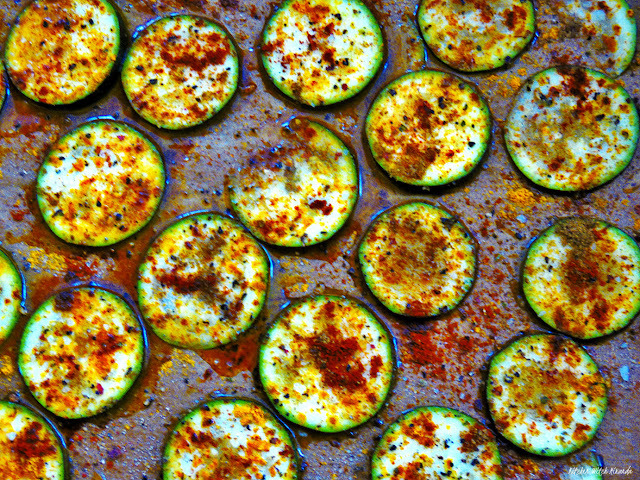 Simple as can be, and quite inexpensive. The pine branches come from a garland I used to make a Christmas wreath, I took the trimmings and left overs and used them in this. The candle was so inexpensive and it was just laying around the house, and the pine cone I picked it up while walking in a park near home. Simple as it is, it has meaning for us, and usually sits at our kitchen all year long. At Christmas time, it gets center stage at the kitchen table, adding warmth to the enviroment, making a house a home. This one was made very recently - just last week, in fact, and it is quite a special project. I have been wanting to make this for years, you have no idea!! The car belongs to my son's colection, and he was quite happy with giving me that one as soon as I explained what I was thinking of. As for the tree, I first thought I could buy some bottle brush ones for this and other projects, but found myself unable to spend the money on those items - maybe they're quite cheap all around the globe, but the options I saw I just couldn't give away on a bottle brush tree the same amount as would buy me a carton of milk for my son. Priorities, you see. So I got really frustrated and angry at not being able to make what I had in mind, and when I get frustrated, I get in a sour mood, and sour moods make me rather more creative (I'm an impossible person, I know, and it's very hard to like me!) than usual. So I started looking around the house, and thinking of the Christmas ornaments I already had, and my eye came to rest on my Fall arrangement, full of pine cones. It was like the proverbial light bulb coming on in my head! As soon as I saw those tiny pine cones that looked so much like... well, pine trees!, I knew how to pull it all off! So I picked the smallest ones and I painted them. 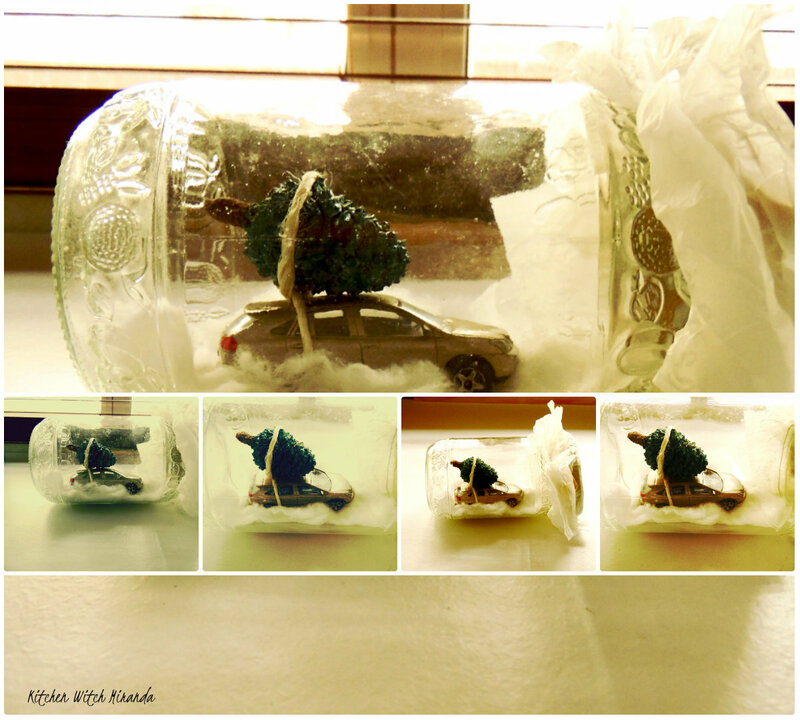 For this one, I wanted the tree to be quite simple, I painted the top of the cone in a dark pine green, strapped it to the car with some twine, lay cotton wool inside the mason jar and put the car over it. The lid of the mason jar happened to be quite ugly, so I just picked some white paper I had laying around and covered it, using twine to secure it in place. And that was it! No need to buy one single item, as I had them all around the house, and nature did provideth! I am awfully proud of how it came out, it looks so sweet! And it will make the Christmas feel of this house even cozier and warmer. With some pine cones still around, including this really tiny little thing, I was all on a roll to do some more. 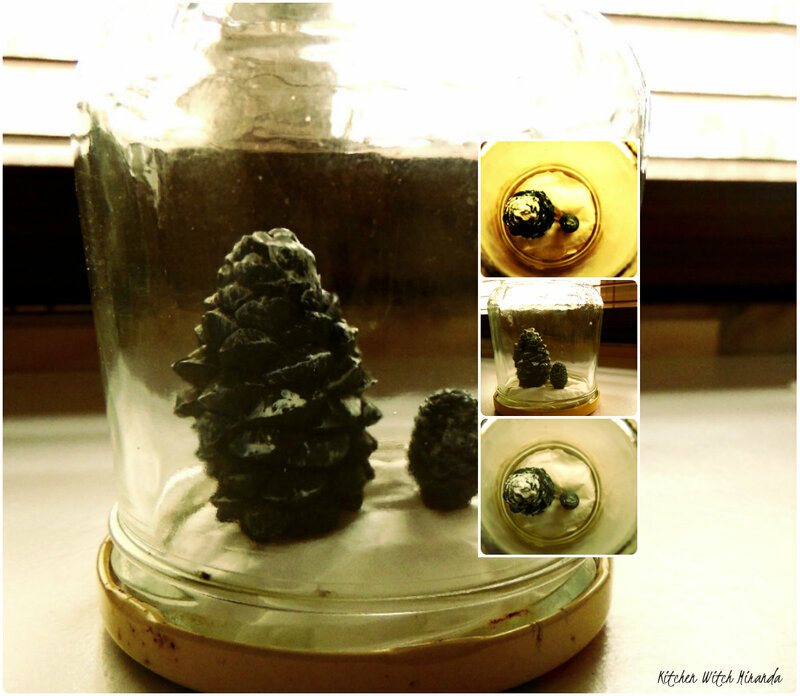 For this particular vignette I painted both pine cones in a deep, dark green, and dabbed some white over the green after it was completely dry, to make it look like the trees were snowed over. I glued some white paper to the bottom of the lid and glued the cones to the paper, then just closed the jar, getting this result. Whenever I look at it, it takes my mind off on a journey into norwegian woods, or finnish woods, with tall trees covered in snow looming over me. It's magical, as magical as any store bought bauble, or maybe even more because it was made by me, with love put into it, with one thought in mind, that of making this house feel even more like a home, over the holidays and all through Winter, despite the cold, and the darker days. As far as I am concerned, I have achieved it so far, and I just know that this trinket will be coming out every Christmas from now on. I had around another mason jar, this one quite smallish, and I immediately knew what I wanted to do with it. There were two pine cones that looked even more perfect than the rest, as if they were really tiny trees, and I knew I wanted to make them look as if they were decorated for Christmas. 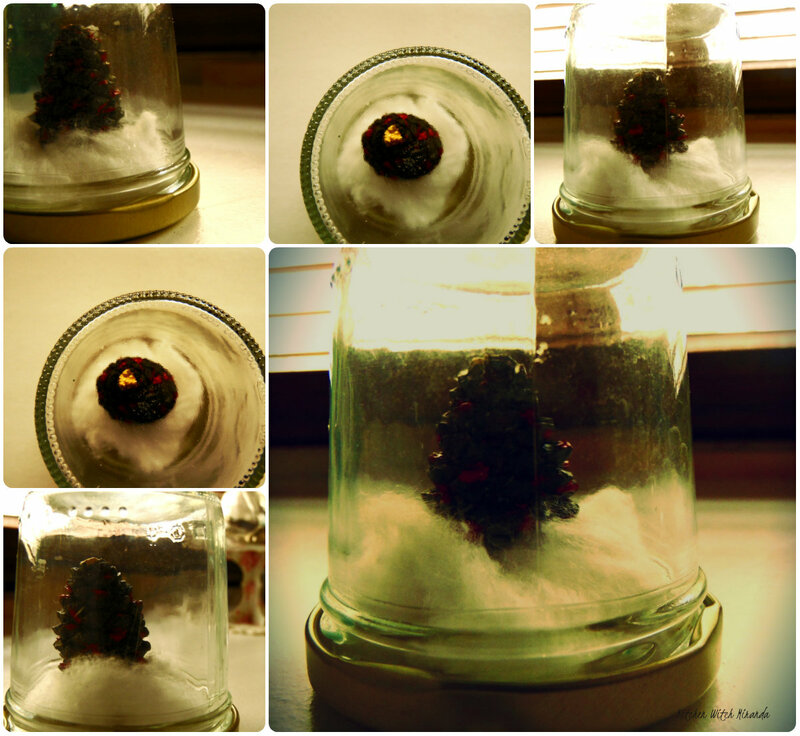 The first one I painted in a hue of green that has a slight grey tonality to it, and dotted small red stains along it, with a gold one on top, to make it look like a Christmas tree, This time, instead of white paper, I glued cotton wool to the lid and the tree was glued to the cotton wool. Not an easy task, I tell ya. But after one too many tries, and the tips of my fingers covered in glue, I managed to get it just right, and it sits now on top of my sideboard, alongside the previous one. Once my Christmas village comes out, I will have to move them some place else, and I am already thinking of the perfect spot. The final one might just be my favourite. This, I confess, has also been on my mind for quite a while, now, same as with the one with the car carrying the tree. 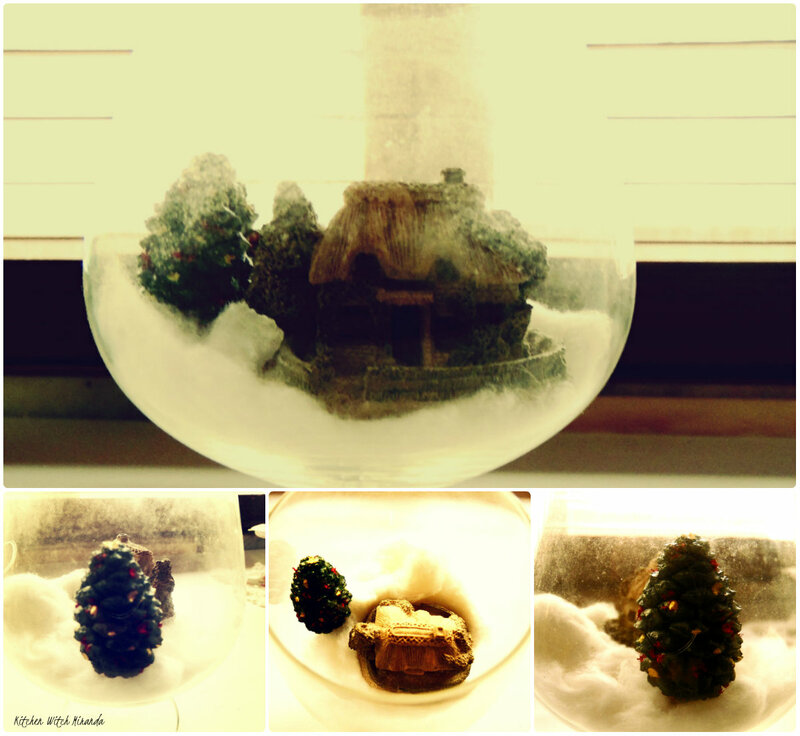 I have this miniature english cottage that my sister gave me, and I really wanted to use it on a Christmas decoration. I usually have it join my Christmas village, but this one is so tiny it gets lost amidst the others. So I took the last small pine cone and used the same technique as I did with the previous one - painted it moss green, this time, and dotted red and gold paint instead of only red. The top also sports a gold star. Then I picked a brandy glass we just do not use and that has been coleecting dust, and I lined the bottom with cotton wool, placed the cottage over it, and balanced the tree next to it. It stands now on my drinks cabinet, and it looks really good. 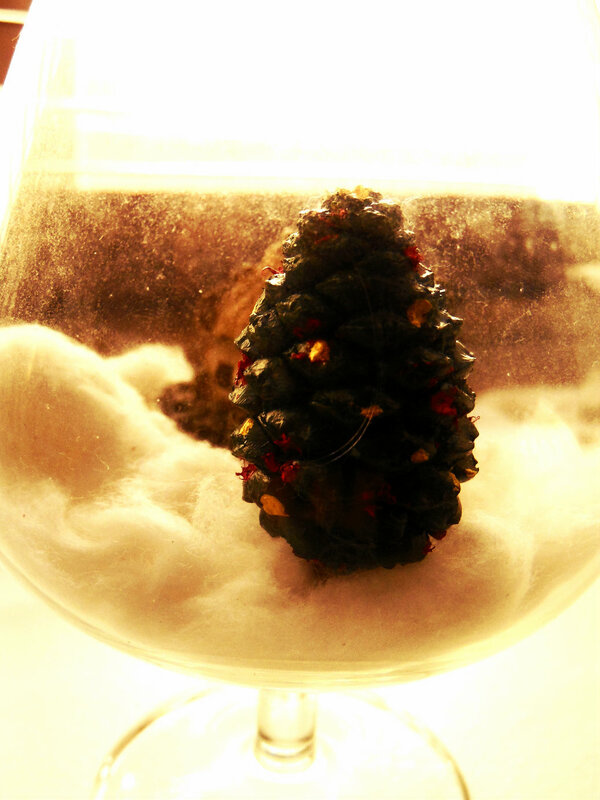 I did not stop with this, I confess, but as far as combining glass and pine cones, this was it. The big pine cones I had around, I used most of them as well, on a kind of flower arrangement that I will share soon. It was even easier to do than these, and the end result was quite, quite surprising, and all achieved with things I already had around the house! So now my frustration is over at not being able to afford stuff, and I confess I feel even happier with these ornaments, as they have my soul put into them, my heart, as I made them. They may have no financial worth whatsoever, but they are far more valuable than anything I might have bought. I hope I have inspired you to go and make lovely things you can share with the ones you love! o Natal é nostálgico, deixa-me saudosista e faz-me sentir ainda mais só. acho que é a altura do ano em que a solidão se destaca mais. ah, aqui também ninguém é crente \m/ também não concordo com a cena de "perfume PARA HOMEM" ou para mulher, sei lá, desde que o cheiro me agrade... né? ouve lá, eggnog presta? Não gostei da eggnog, achei enjoativo. Bom, acho que olhas para o Natal de um ponto de vista a dois e não de um ponto de vista decorativo. Sério, começa a olhar para a festividade em si de um ponto de vista decorativo. Mas n ias passar o Natal á Irlanda? ONde é que fui buscar essa ideia???? Sabes, o Natal para mim é bittersweet. N gostei de ler algumas coisas que li, e n gostei pq gostava (uau q português fabulástico), mas sério, porque gostava que o dinheiro não fosse nunca problema para as boas pessoas. Que se há-de fazer, é a vida, isto dab justiça e bla bla vai-me seguir sp. A do carro do teu filho c a arvore em cima está genial, MESMO. A criatividade vem nestes momentos, qd temos tudo sem contenção, a mente dispersa-se. Adorei cherry!!!!!!!! Oh, o Natal para mim tinha tudo para ser uma data a ignorar, mas por alguma razão - e é nestes momentos é que eu quase acredito nas vidas passadas!! 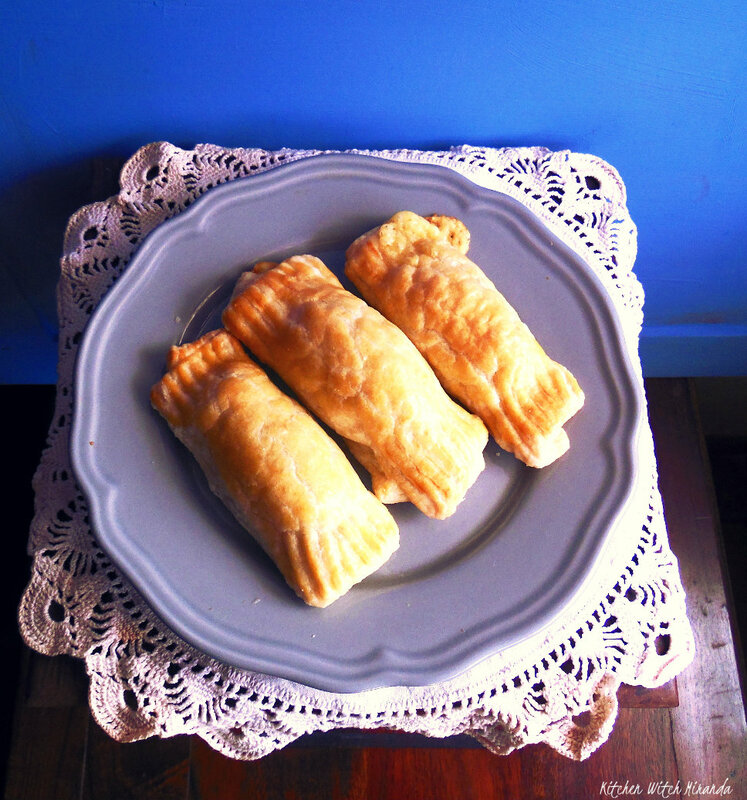 - não é, é-me mesmo especial mas não no sentido que o é tradicionalmente para a maioria das pessoas. Lá está, eu tenho uma visão muito pessoal das cenas e isso pode ser dificil de gerir e de me permitir bond with others. está tudo tão bonito, tão cheio de amor e simultaneamente tão criativo e ternurento que se não é esta simplicidade e pureza o espírito do Natal, então não o consigo sentir nem apreender de outra maneira. e, apesar de tudo o que digas, comigo esse"bond" é firme e veio para ficar!